Lovingly called “Mother Russia” by its citizens, Russia can look back on thousands of years of history and culture. And, having been its capital and political centre for more than 860 years, Moscow has developed into a truly iconic city with tons of architectural gems from all epochs. In fact, with that many cheap flights to Moscow available, it would be a true sin to not head north and discover the best this city has to offer! Moscow was first mentioned in 1147, and the first version of the Kremlin was built in 1156. After having been burnt down by the Mongols in 1237-1238, the city experienced a steady expansion and enjoyed stability and prosperity for any years. During the rule of Ivan I of Moscow (1288 – 1341), Moscow finally became the capital city of Russia. The city was burned and its citizens evacuated during Napoleon’s French Invasion of Russia – a strategy that finally forced the army to retreat. After the capital had been switched to Saint Petersburg around 1712, Moscow became Russia’s capital again in 1918. Today’s architecture of the Kremlin and its churches was built by Italian architects in the 15th century. Hence, this must-see sightseeing spot has a distinct Renaissance flair. Most of Moscow’s buildings, however, are in the classical style. Having previously consisted of mainly wooden structures that burnt down easily, they were torn down and rebuilt in stone during the classical period. Also, many historical buildings fell victim to Joseph Stalin’s efforts to modernize the city. Of course, going to the Red Square at sunset and taking in the breathtaking views of the Kremlin and the surrounding areas is as much a must as a visit to the Lenin Mausoleum. Add a visit to St. Basil’s Cathedral to your bucket list to get a better feel for the history of the city. Also, the Tsarytsino Open Air History and Architectural Museum is a nice spot to go to for its park and many interesting museums. If you like art, you need to absolutely check out the Pushkin State Museum of Fine Arts with its magnificent collection. Some other cultural highlights of Moscow are the Bolshoi Theatre with its world-famous Bolshoi Ballet. Besides the Kremlin and the Red Square, Moscow is really well known for its beautiful metro line, which was opened in 1935 and is commonly described as an “underground art museum”. This metro doesn’t just make it possible to get around the city easily and at a low price, it may also make you want to never leave again! Some of the nicest stations are Mayakovskaya, Prospekt Mira, Arbatskaya, Elektrozavodskaya, Kievskaya, Arbatskaya and Komsomolskaya. The centre of Moscow is walkable. However, if you have to go a little further and don’t want to take the metro system, there’s an extensive bus and trolleybus network. Literally every street is served by a line! Of course, taxi services are available as well. 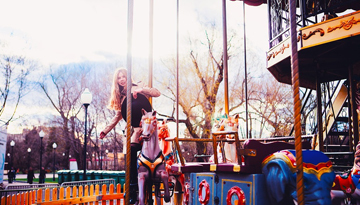 The best time to visit Moscow is in spring and summer – from April to September. Though, you should really travel there in April and May if you want to avoid the crowds of tourists. So, don't let time slip off your hands and get the best deal by booking cheap flight tickets to Moscow. Lufthansa offers low-cost flights to Moscow from London - price starts from only £150 as round-trip. 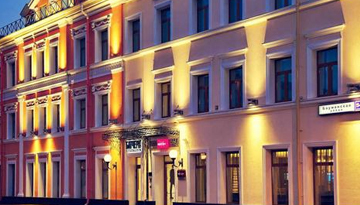 The Hotel offers elegant and modern accommodation is conveniently located in Central Moscow. 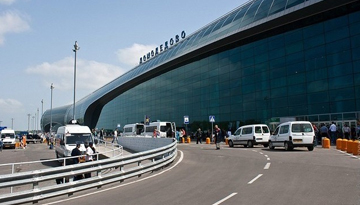 Fly from London - Moscow & Stay for 7 nights with 5 star accommodation. Room Only.